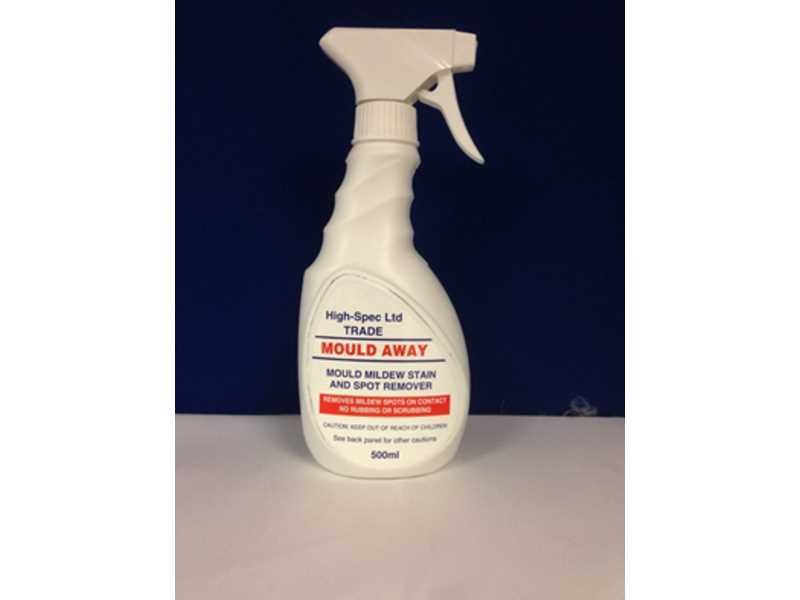 Our ‘Mould Away’ spray can save you valuable time and money. It’s a simple product that when sprayed on to any of our manufactured lining products, instantly cleans and leaves looking fresh and sparkling clean. This product comes with our quality and service assurance. Q. What does it do? A. Effectively removes all black and brown stains caused by mould, fungus, moss and algae inside and outside. Works Instantly. • Ceramic basins & toilets. Q. Why does it smell like bleach? A. The product has a bleaching action. Always test on an inconspicuous area before use to ensure compatibility with surface. Keeping the bottle upright, spray soiled area from 20-25cm away.